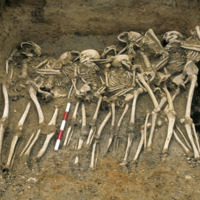 An archaeologist and bodies uncovered at the dig site of St Mary Spital cemetery, which was conducted by The Museum of London from 1998 to 2001. Burgess, Colin. "St Mary without Bishopsgate." Current Archaeology. August 6, 2012. 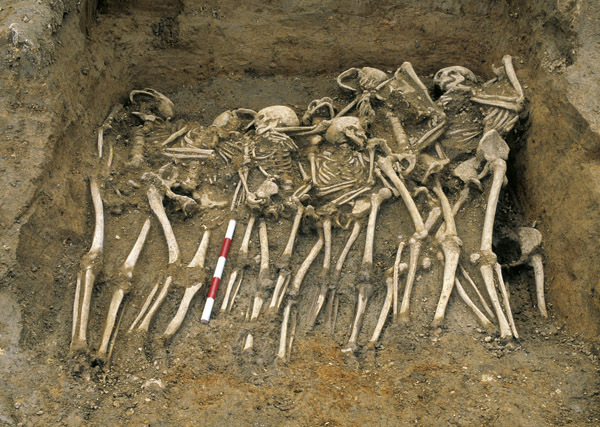 Accessed March 30, 2015. http://www.archaeology.co.uk/articles/features/londons-volcanic-winter.htm. 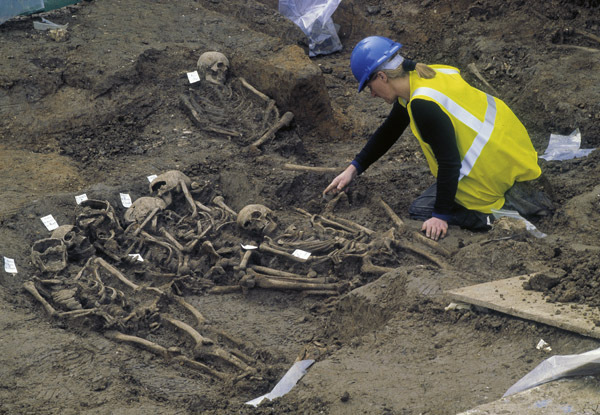 “St Mary Spital (dig site),” Medieval London, accessed April 22, 2019, http://medievallondon.ace.fordham.edu/items/show/199.